I wasn’t planning to put up a Photo Friday post today, but then I got this photo in my email from my friend Barb, who’s currently in Eldoret, Kenya with her 15-year-old son and fellow board members of Seattle-based One By One. In her mail, she says: “We spent the day at Gynocare meeting with the staff, touring the facilities, and talking with patients. It is overwhelming”. I understand that she found it overwhelming but I really want to know how her son found it? Spending a day at a women’s clinic would be challenging for most men I know. What does it feel like for a 15-year-old? In a rural Kenyan clinic no less? 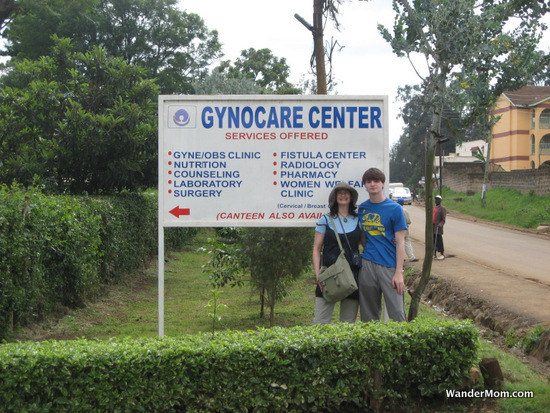 This entry was posted in Kenya and tagged Eldoret, fightfistula.org, Kenya, One By One on June 29, 2012 by wandermom. Today’s guest post is by my friend Barbara who is currently on her first trip to Africa. She is traveling with her teenage son and fellow board members of Seattle based NGO One By One, working to end fistula. Our group is made up of three board members, three staff and four family members. 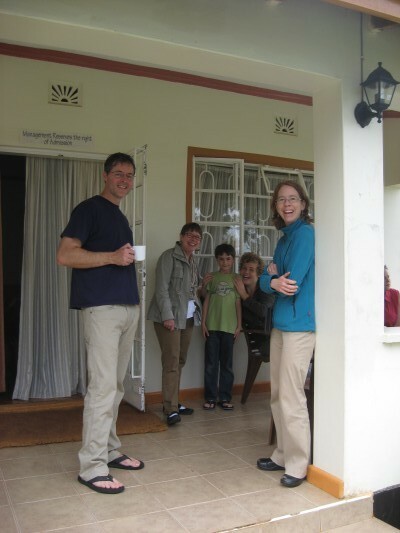 We arrived this morning in Eldoret, Kenya via a 30 minute flight from Nairobi. It’s hard to believe we’re in Africa so effortlessly. My first impression is that are so many Americans working here – since our arrival two hours ago, we’ve already met a woman visiting her grandparents who run a clinic started 20 years ago by Indiana University, and a nurse practitioner (with her husband and adorable 10 month old) who is working at a clinic in rural Western Kenya to bring better healthcare to women, including early detection for cervical cancer. The local paper I read on the plane had an article on the early rate of sexual activity in girls in the region. It is heartening to see this openly discussed, as it is seeing people here to work on bringing better healthcare to women. This entry was posted in International Escapades, Kenya and tagged Eldoret, fightfistula.org, Kenya, One By One on June 28, 2012 by wandermom. So said my husband last year during the Passports with Purpose fundraiser. I didn’t have a meaningful come-back. When I was growing up there were some books in my house but not many and certainly not a lot of extra money to feed my bookworm habits. Our Saturday morning visits to the local library were the high point of my week. I know he used his local library too. There was a library at my elementary school and a pretty big one at my high school – I bet his was the same. Even with that, I had to concede that he had a point. Maybe the Passports crew had deviated from our goal to fund basic needs projects by partnering with Room to Read. Of course this conversation was in my head when I met with the Room to Read team in Lusaka, Zambia. Of course I thought of it when we visited one of the libraries funded by Passports with Purpose at Chilileka Basic School out side Lusaka (read my co-travelers stories about this visit on DeliciousBaby or WanderlustAndLipstick). But really, I couldn’t wait to get home to talk to Murph about the experience. Sure, there was an aspect of pointing out how right we were to support this project (“Ahem, I was right honey”) but also I wanted to share with him – and you – what I learned during my visit. 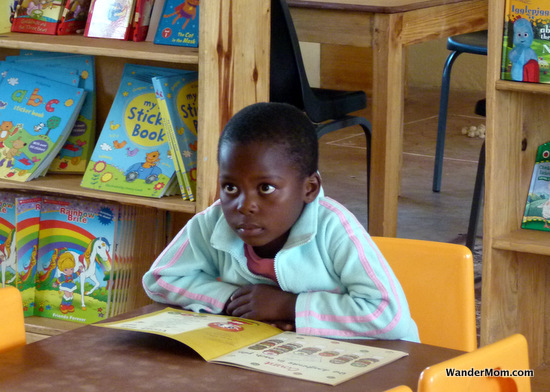 The library we funded is so much more than “just” a library it is also a literacy and literacy education program for the teachers, children and parents associated with this school. Room to Read trains the teachers and a parent representative on how to manage the library and how to catalog books and operate a check-out system. The program funds a literacy teacher who integrates library time into the school day for all children. The kids can come to school early or stay late just to read. I realize now that I have been completely surrounded by books and reading material for my whole life. Sure, maybe I didn’t get the latest Harry Potter equivalent when I wanted it when I was a kid but there were ALWAYS books, magazines and newspapers for me to read. I did not understand what it means to grow up with zero reading material until I went to Zambia. I did not understand how literacy functions as a foundational element of learning. If a child can’t read, he can’t learn, it’s that simple. My trip to Zambia to visit the libraries built by Passports with Purpose in 2011 is sponsored by Expedia. This entry was posted in Africa, International Escapades, Zambia and tagged Passports With Purpose, Zambia on May 22, 2012 by wandermom. I have two sons: one 12, one 16. If I had the time I’m sure I could write for a day on the differences between life for a tween/teen in Zambia versus the life my children are lucky to live in Seattle. 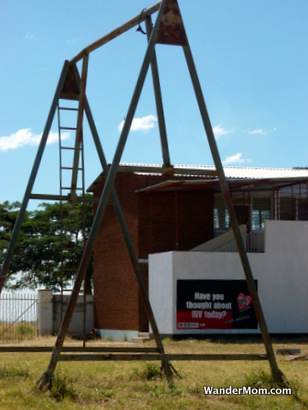 Instead of all those words, the top picture, of a playground sign in an all-boys secondary (middle + high) school in Mazabuka, Zambia is a powerful reminder that teenage risks in Zambia can carry a significantly higher cost. 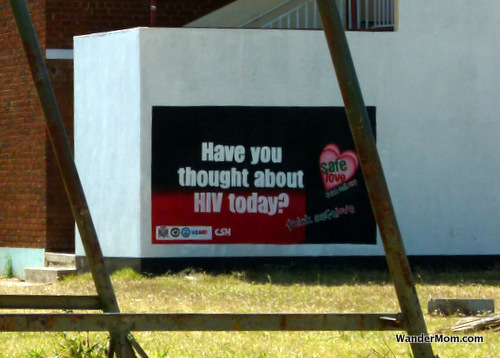 This entry was posted in International Escapades, Zambia and tagged AIDS, Mazabuka, Zambia on May 18, 2012 by wandermom. I returned from Zambia barely 48 hours ago. I’m happy to be home with my family. I enjoyed being fussed by my boys on Mother’s Day. Today I’m back at work. My stomach is tied in knots and I’m nauseous. I work for Google. I like working for Google. I usually enjoy what I do. I work with great, smart, fun people. (I knew I’d feel like this). 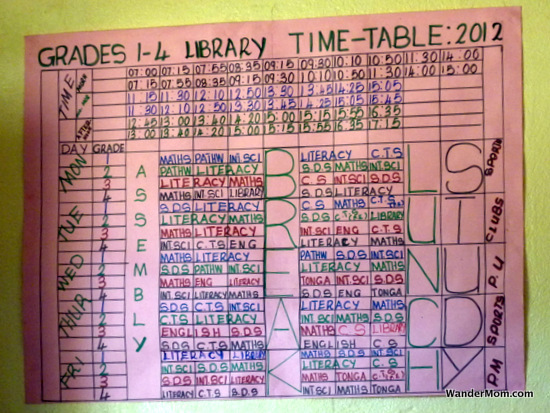 It’s hard to care about online advertising after spending a week learning about literacy programs in Zambia. Zambia is home to 12 million people and had a GDP of US$21 Billion in 2011. Per-capita GDP is $1,600. I saw and experienced that poverty first-hand every day last week. Google employs about 32,000 people and made US$37 Billion in 2011. I feel extreme cognative dissonance today. To work and be productive is good. To help people in a developing country is good. To experience such extremes of how people live and work in such a short time is really, really hard. This entry was posted in International Escapades, Zambia and tagged Passports With Purpose, Zambia on May 14, 2012 by wandermom. On our last day in Zambia I had a family errand to run in a town called Mazabuka about two hours south of Lusaka. 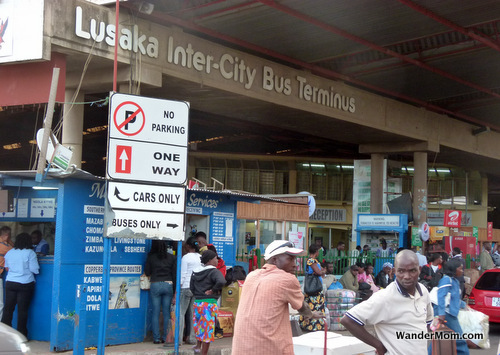 Initially I’d planned to hire a taxi although given that the half-hour taxi ride from the airport into Lusaka cost ~$25, I was worried that my round-trip to Mazabuka would be ridiculously expensive. But, all advice I’d been given before arriving in Zambia was consistent: “It’s pretty safe, just don’t wander around on your own”. When I explained my plans to one of the Room to Read guys, he shook his head and said: “Why don’t you just take a bus?”. Coming from an ex-teacher who seemed pragmatic and honest, I thought, “Well, why the hell not?”. So I did. I’m not going to pretend that I wasn’t nervous when I went to the noisy, dusty, chaotic bus station on my own or that my heart wasn’t hammering in my chest as I was getting on the bus. I was and it was but I had a fantastic day. I talked to so many people all of whom were open, welcoming, generous and friendly. I felt as safe as houses. On Africa-time, it did take a whole day to get there and back and I was more than a little grubby getting on to my flight that evening but it was absolutely worth the effort. Like whaLike what you’ve read and interested in reading more? Subscribe to the WanderMom rss feed, follow me on Twitter or become a fan on Facebook. 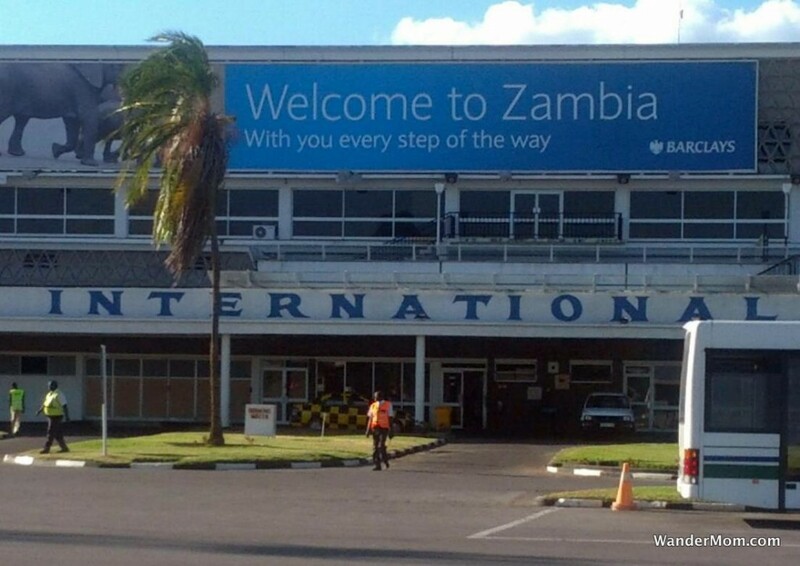 This entry was posted in International Escapades, Zambia and tagged Lusaka Zambia on May 11, 2012 by wandermom. We spent yesterday morning on the three-hour tour of the Garden Compound (township) hosted by the inspirational folks from Lusaka Experience. 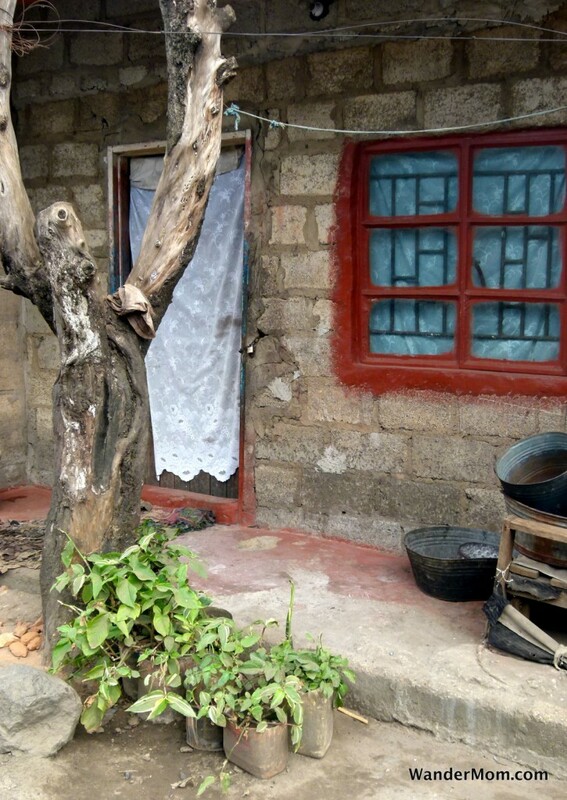 This neighborhood of 26,000 people crammed onto unserviced, unpaved streets where their 2-room cinder block homes are built on what was once a garden is an example of the environment where most of Lusaka’s 2 million residents live. 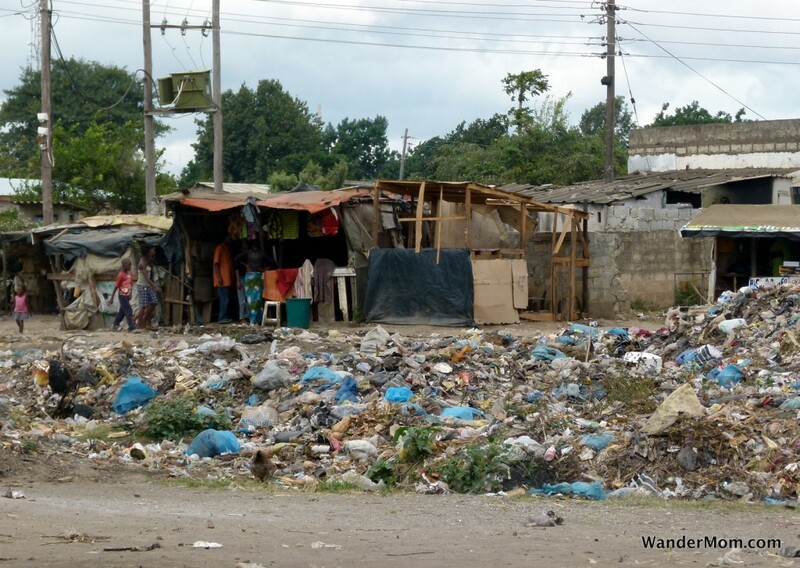 Coming from any developed country it’s difficult to really appreciate what it means to have no basic residential services until you see streets where garbage is piled up with kids playing right nearby. The houses here do not have running water and no indoor toilets. There are water taps in the neighborhood which the residents pay to use to fill containers of water to bring to their homes. One of our tour stops was to visit the Happy Face center a resource center for neighborhood kids supported in part by the Lusaka Experience team. 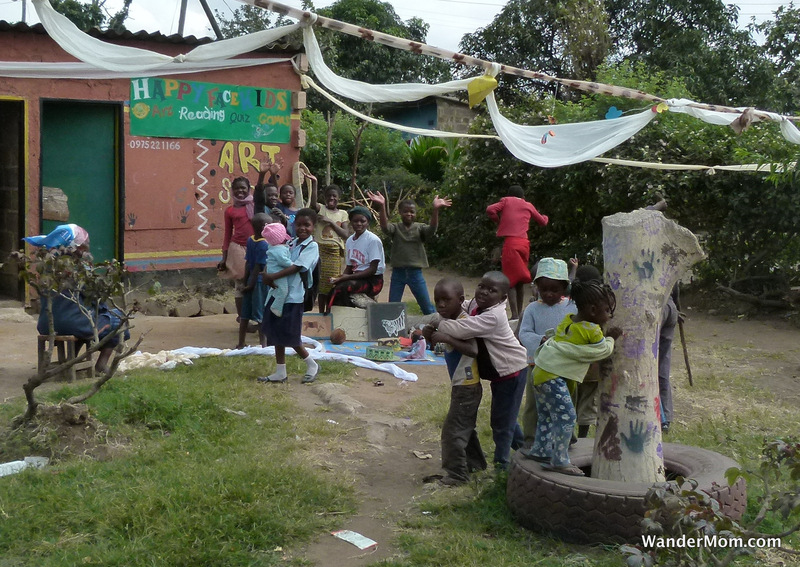 Many of the kids who come here do not go to school because the only basic (primary) school in the compound is over-subscribed. The center provides a space for kids to explore arts and crafts with simple drawing and craft-work. Everywhere we went in the compound kids called out MuZungu, the local slang for “white person” and like kids everywhere they never tired of waving, calling out “Hello” and following us around. 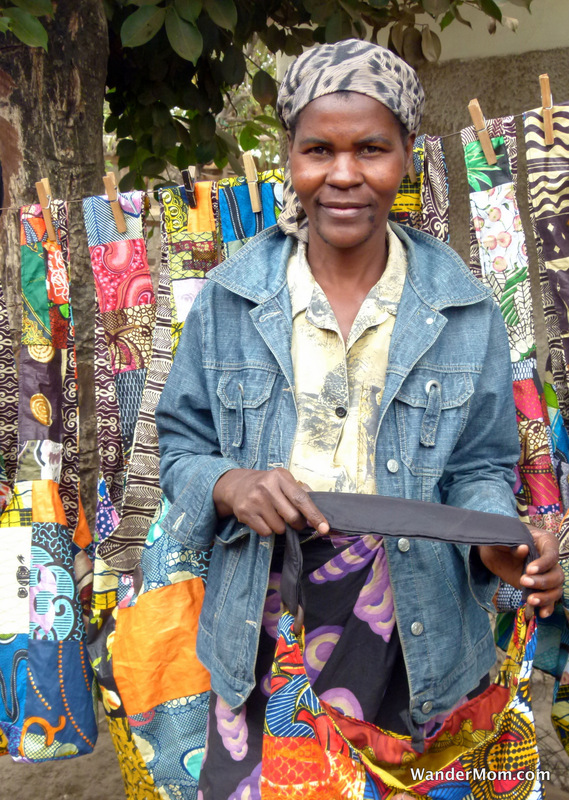 The high point of the tour for me was a visit to this local craftswoman’s house where she takes chitenge cloth (the traditional women’s dress worn wrapped around as a long skirt) and re-makes it into fun bags and purses. This entry was posted in International Escapades, Zambia and tagged Lusaka Experience, Lusaka Zambia, Zambia on May 9, 2012 by wandermom. I may pretend to be a blogger/writer but really I’m a list-maker. Honestly, any time you’ve read a blog post that I’ve written there’s a 99% chance that it started it’s life as a list. Here’s a sample of the lists I’ve written about Lusaka and Zambia in the last 24-48 hours (links to stats added for this post). That it’s one of the poorest countries in the world (#31 based on 2010 data). That the rates of HIV/AIDS infection here are among the worst in the world (globalhealthfacts.org). That malaria is a chronic problem here (nationmaster.com). That literacy rates are low (unicef.org). That Zambia had a peaceful transition from British colonial rule to independence in 1964. That the first post-colonial leader was Kenneth Kaunda (aka KK) who stayed in power for 27 years. The Victoria Falls are on the Zambezi between Zambia and Zimbabwe. That “Zambia has very little of the black-white racial tension that you still see in South Africa and Namibia” – from the German agriculture and forestry specialist – on his 7th trip to Zambia in the past two years – who I shared dinner with on my first night here. Jeremiah, a Zambian forestry specialist who joined us at dinner, shared that “Kenneth Kaunda required that children attend secondary school and attend it in a different area of the country from where their parents were living. This was and is a big factor behind the lack of racial and inter-tribal tensions here”. 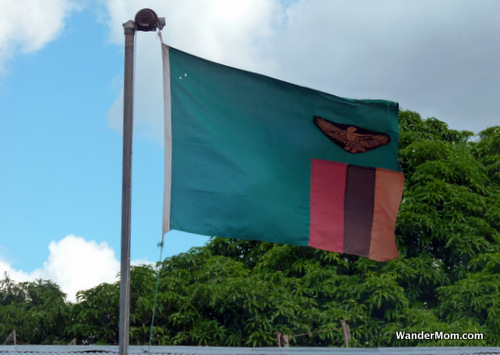 It appears that the national motto, “One Zambia, One Nation”, holds true even though there are more than 60 tribes in this country. The single-runway Kenneth Kaunda International airport in Lusaka looks like it was built in the 60s and hasn’t been updated much since. It’s got low ceilings, graffiti over the windows and one rickety luggage belt. Passport control was four officers in small booths although they did have computers, digital cameras and digital fingerprint readers. It reminded me of a smaller version of Shannon airport before it’s latest upgrade. There’s a prominent Bank of China billboard greeting passengers on the walkway from the plane into the terminal building. It may be that this jumped out at me because I’ve been reading the Economist’s reports on Chinese investments in Sub-Saharan Africa (http://www.economist.com/blogs/dailychart/2011/04/chinese_africa). As our taxi left the airport, I noticed first three girls with their thumbs out trying to hitch a ride, then a small group of people waiting on the roadside and then a South American-style collectivo (shared minibus) trundling to pick them up. I’ve since since blue and white collectivos all over the city. Just like in South America, the wide open windows and jam-packed vehicles make me suspect that these no-frills, no-air-conditioning minibuses are the most common form of public transit for locals. Although, given the constant streams of people walking on the dirt tracks alongside the roads, it appears that there either aren’t enough collectivos or that even these super-cheap buses are too expensive for many people in this city of about 2 million. On the way from the airport to my hotel, obviously alerted by the Bank of China sign, I counted at least three Chinese restaurants and Chinese signs on businesses. Today, while walking during the evening rush-hour, I noticed that the trucks filled with laborers (usually sitting or standing in the truck bed) which passed on the road had Chinese drivers. I guess this is the Chinese investment in Africa in the flesh. There were two billboards that caught my eye on the way in from the airport. The first was a government warning about pediatric HIV/AIDS and the second had a picture of a good-looking couple and the following text: “Having an affair? Don’t tell your husband but what about HIV?” Direct messaging I guess. 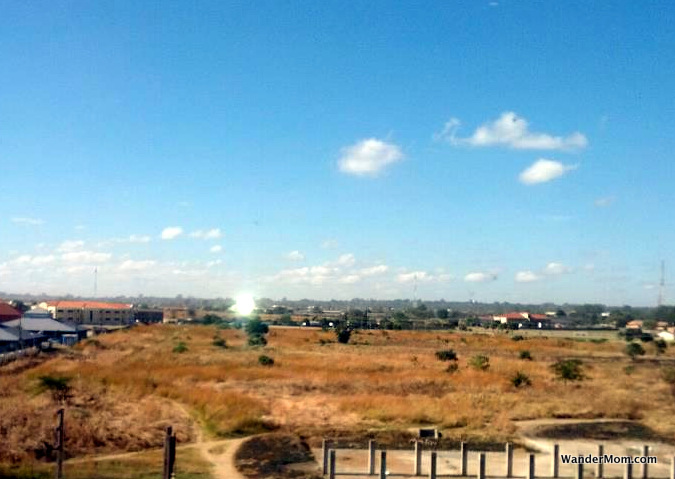 Zambia is much, much greener than I was expecting. There are many colorful trees and plants. I’ve seen advertisements for roses as well as a kid selling what looked like orange tree saplings on the side of the road. I wish I had a sub-tropical plant book with me. I’m just going to have to take lots of photo and put Google goggles through its paces when I get home. Seriously, it does seem that anything will grow in this red dirt. Many homes and buildings are behind high broken glass topped walls with gates and armed guards. The data I could find on this says that petty crime is high here although not usually violent and avoided by taking simple precautions such as not going out alone at night. So far, I’ve found every single Zambian I’ve interacted with to be welcoming and very friendly. Zambia is not cheap but not ridiculously expensive either – at least not in the affluent/tourist bubble that I’ve experienced so far. I’ve been taking mostly taxis which cost ~$10 for a 30-minute ride. A (very tasty) chicken curry dinner with a beer cost $18. Spar is a full-sized grocery store chain here (as opposed to the 7-Eleven style in the UK and Ireland). The one next to our hotel is well-stocked with a curious mix of mostly British brands but some local, some South African and Parmalat (Italian) dairy products. For my kids (because I suspect a trip to Zambia could be in your future): you can check out things to do in Zambia and Lusaka on Zamazing.com. This entry was posted in International Escapades, Zambia and tagged Lusaka, Zambia on May 8, 2012 by wandermom. Now that I’m in Lusaka, and before our visit with the Room to Read people starts, I thought I should explain the other reason for my excitement and interest in being here: my husband and four of his siblings were born here. The lived in the very region that I will be visiting over the next four days – where one of the libraries funded by Passports with Purpose in 2011 was built. These facts are bizarrely coincidental. “Really? Because of the charity work that you and your friends do? That’s fantastic. Jim, did you hear, Michelle’s going to Mazabuka”, she turned to her husband and reached for his arm. He didn’t reply. They held hands and the look that passed between them made me feel as if four decades had just fallen away and I was looking at their newly-wed selves. In the 18 years that I’ve know them Zambia has rarely come up in conversations and if it has, it’s been in fun or when talking about history (which Murph’s Dad, Jim, taught). This was the first time that I considered how important that time in their lives must be to them. Newly wed and recently qualified as teachers they went to teach at a Catholic boarding school outside of Lusaka. They left Zambia six years later and neither they, nor any of their “Africans” have been back since. “It was such a wonderful time”, Brenda said. “But all the kids…” (they had five children including a set of twins in those six years). “Were all the teachers Irish?” I asked. The oddities of the political and economic situations in Ireland North and South in the late 60s and early 70s summed up neatly in just that one sentence. I’ve just arrived in Lusaka. It’s late and I’m too tired to think straight so I’ll focus instead on the serendipity of the path I’m following. I’m in the steps of two teachers who I love dearly. This visit is giving me the opportunity to see the place where they started their life and family (let’s not forget my all-important husband). They taught here, I’m here to visit a school. They gave their time and skill. I’ve been lucky enough to work with a group of great people to raise money to extended the resources of two rural schools in Zambia. Life. Even the oddest coincidences can be only marvelous. 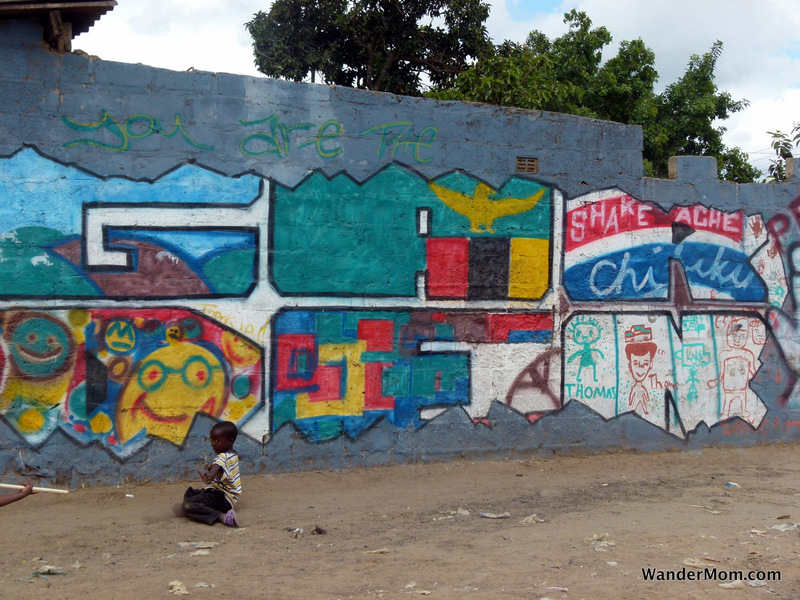 This entry was posted in International Escapades, Zambia and tagged Lusaka, Zambia on May 7, 2012 by wandermom.